I’ve found science fascinating for a great many years, and one of the things I enjoy most in life is helping others to catch some of that fascination for themselves. It’s a big part of the reason why I became a teacher before I started my PhD, and I’m so glad that science communication and outreach opportunities have continued to appear since then – after all, research shows it’s good for you, and for others. 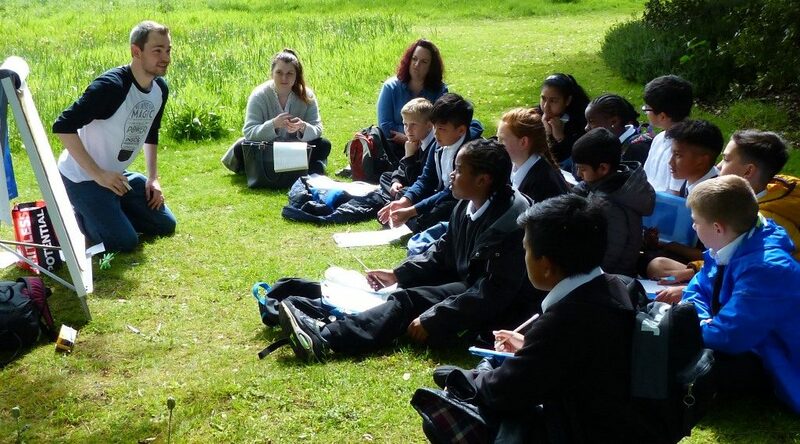 In this post, I want to reflect on some of the outreach fun I’ve had in the last year, and maybe encourage you to have a go too! Hello, and happy new year! In this blog post I’d like to briefly tell you about my first paper that was accepted and published in the journal Quaternary Research in late 2017. It’s entitled “Impact of mid- to late Holocene precipitation changes on vegetation across lowland tropical South America: a paleo-data synthesis” and can be found here. In late 2016, Frank was approached by Mark Bush who wanted to prepare a collection of papers for a ‘special issue’ to honour the lives of two prominent palaeoecologists, Prof. Paul Colinvaux (1930-2016) and Prof. Daniel Livingstone (1927-2016). Both Paul and Daniel were leading figures in tropical palaeoecology, with Paul focusing predominantly on tropical South America and Daniel in tropical Africa. Throughout their careers, they were at the forefront of much of the breakthroughs in tropical palaeoecology, as well as inspiring and training many graduate students to create an international legacy of palaeoecologists. More can be read about their amazing careers in Mark Bush and Will Gosling’s tribute article: “In search of the ice age tropics, a tribute to Prof. Daniel Livingstone and Prof. Paul Colinvaux”. Happy New Year! Josie and I got 2018 underway with three days in Plymouth, dodging the disruptive effects of Storm Eleanor at the QRA annual discussion meeting. It was an enjoyable conference, showcasing a variety of research relevant to our work. September is nearly over, the trees and weather have decided to get autumn underway, and campus is again buzzing as thousands of new and returning students arrive for the start of a new term. It seems like an appropriate time to reflect on a summer of changes here in the TPRG. The first change, and possibly the biggest, was Macarena leaving us for pastures new at Earthwatch in Oxford. 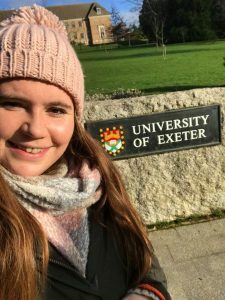 Since starting her post-doctoral research post in 2014, Maca had been a popular and integral part of many areas in SAGES (the School of Archaeology, Geography and Environmental Sciences) – to say nothing of her roles in the TPRG, managing the lab and running the blog. Small wonder, then, that so many people came to her farewell celebration! Welcome to our website! We’re the University of Reading’s Tropical Palaeoecology Research Group. Here you can find out more about us – who we are and what we do – as well as what research projects we’re currently working on. You can also explore our recent publications, and the impacts they’ve made beyond the scientific community. Have a look at our blog posts below to learn more about what we’re up to at the moment, and feel free to get in touch with us if you want to learn more about us and our research. The latest edition of the Past Global Changes (PAGES) Magazine was published yesterday, on the theme of ‘Sustaining Earth’s Biodiversity’, and it features three contributions from the TPRG team. 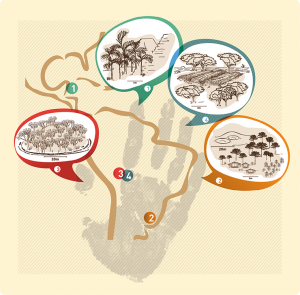 The first, by Macarena and Northumbria University’s Bronwen Whitney, looks at how palaeoecology can shed light on the legacies of pre-Columbian people in Latin America’s modern ecosystems. 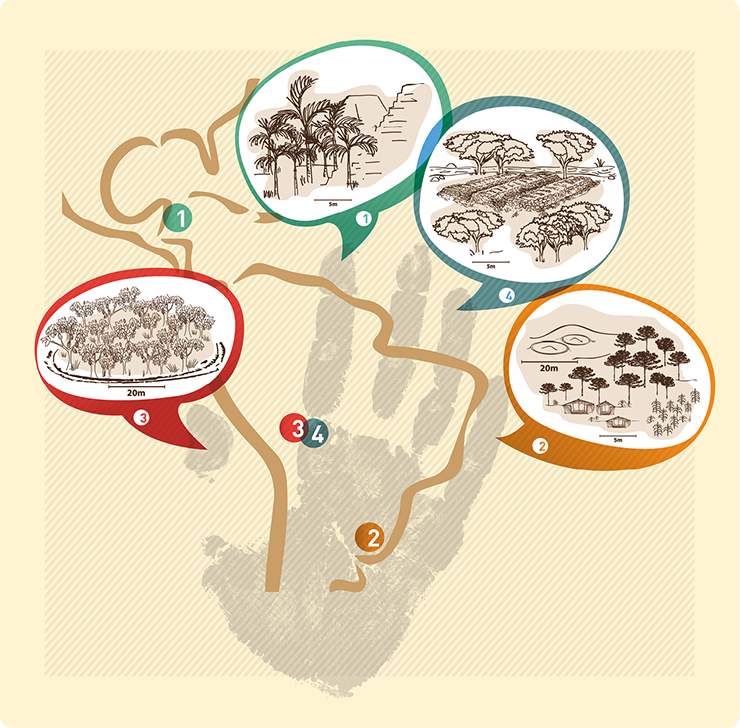 It highlights Maca’s research on southern Brazil’s unique and ancient Araucaria forests (which has been part of the Jê Landscapes project, and which I’m continuing for my PhD), as well as Mayan breadnut palms in central America, and the chocolate forest islands and ice-cream bean cultivation of south-western Amazonia. It’s well worth a read, as are the research papers it discusses. 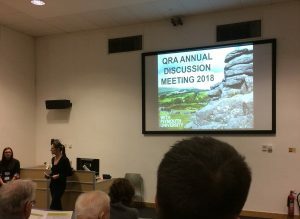 Heather also has two contributions in a mini-section reflecting on the PAGES Young Scientists’ Meeting 2017, an event she’s blogged about previously here (Palaeo-science in the Pyrenees). Her first article addresses the whys and (perhaps more importantly) hows of effective communication for palaeoscientists. Her second – equally important and closely linked – discusses the challenges of communicating the societal relevance of palaeo research, especially to funders and policymakers. Communicating research and its relevance is essential, and the insights and suggestions in these articles should be helpful starting points when considering it. If you’ve got any questions or comments about the pieces, you can get in touch with Maca and Heather on twitter: @DrMacarenaLC and @HeatherPlumpton. The whole magazine edition can be read or downloaded here. I am aware that not many people had the great opportunity like me to attend PAGES OSM 2017. Therefore, I wanted to share some of the key things that got stuck with me after the conference. There was an outstanding list of presentations and strong sessions. I am not aiming to pick a favourite, but I would like to highlight the following ones: “From the Mediterranean to the Caspian: paleoclimate variability, environmental responses and human adaptative strategies” with convener Ana Moreno et al, “Do species move or die” with convener N. Whitehouse et al, and specially “Disturbance dynamics across special and temporal scales” with convener Graciela Gil-Romera et al. Papers discussed there were largely multidisciplinary, and generated good discussions. I recently attend the PAGES (Past Global Changes) YSM (Young Scientists Meeting) as well as the OSM (Open Science Meeting) 2017 in sunny Spain. 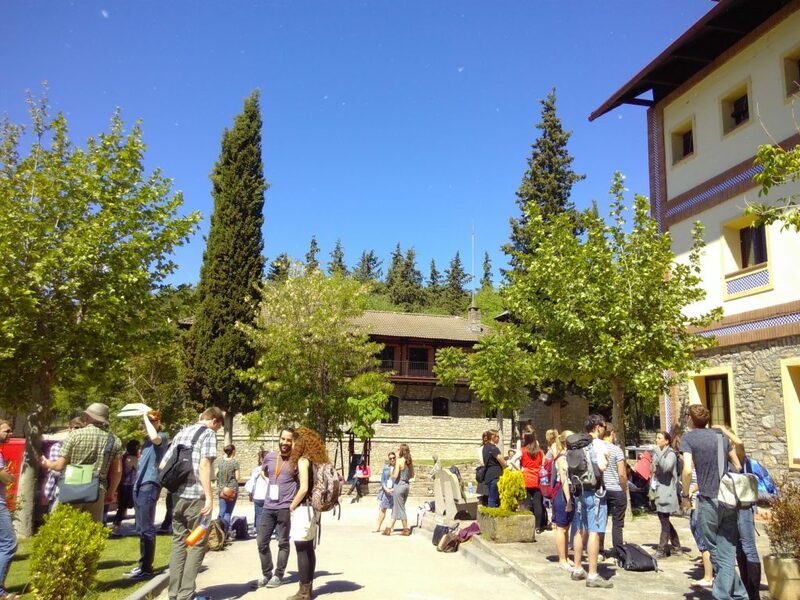 The YSM was particularly exciting – a group of 80 early career researchers met in the Pyrenees, at the restored village of Morillo de Tou. 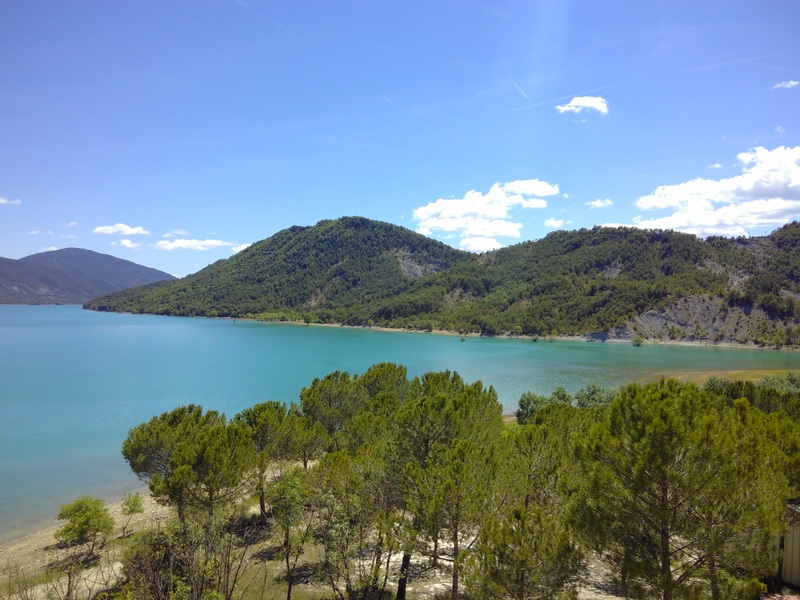 The spectacular surroundings were matched by spectacular science, with a combination of great talks and posters as well as breakout group discussions and workshops. The schedule was pretty packed, but we made time for some star gazing with local astronomers and a night of traditional Aragon music and “dancing” in the moonlight. Overall, I thought the YSM was an excellent opportunity to meet other young scientists, and discuss issues of particular import to our community.